1. The health food market of Guangdong accounts for 53.7% of the national total. 2. The demand of health food market in Guangdong grows at an outstanding rate of 20% annually. 3. The Guangdong market boasts a developed sales and circulation network, including more than 5,000 supermarkets and over 8,000 markets. The NPC series of health product exhibitions originated from the (pharmaceutical exhibition) and Fi Asia-China (food ingredients exhibition), the top two exhibitions of UBM. It targets the middle and high end health product market and is a trendsetter in the health industry. Since its debut in Shanghai in 2011, the NPC has showed fairly strong growth momentum and become an annual trade event in the health care industry. Now we launched NPC Guangzhou to develop a new market, share global sources with you, and build a professional trading platform. NPC Guangzhou will be co-located with Hi & Fi Guangzhou 2017 and Expo Finefood 2017 (Guangzhou), which provides a one-stop comprehensive sourcing platform of food ingredients, finished products, and health food for both exhibitors and buyers. As one of the brands of Fi Global, Hi China & Fi Asia-China has been serving Chinese market for 18 years. Fi Global has been the trusted route to the global market since 1986. Fi Global shows are held in 12 countries and regions in Europe, South America and Asia annually which attract hundreds of thousands of exhibitors and buyers from more than 160 countries and regions. Expo Finefood (Guangzhou) is a one-stop purchasing platform and solution provider of high-grade food, beverage and ingredients catering to hotels, restaurants, bars, cafes, clubs, and other businesses in the hospitality industry. 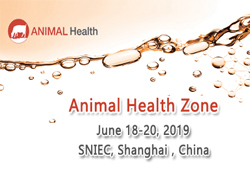 To meet the multiple needs of the exhibition, the organizer sent many invitations to health product dealers, agents, retail establishments, chain drugstores, supermarkets and other channels. It also selects the quality exhibitions on medicine, food, cosmetics, children, elderly care, and other health products from over 300 exhibitions held by UBM Group and the China Chamber Of Commerce for Import & Export of Medicines & Health Products worldwide, and then carefully chooses 100,000 quality data resources to invite suitable professional buyers. Besides, we join hands with over 80 online media specialized in medicine, food and health care in the health product related industries and over 30 professional print media such as magazines and newspapers in the health industry for strong publicity.